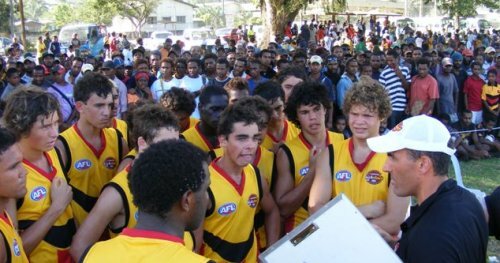 The Australian Indigenous youth team, known as the Flying Boomerangs, have bounced back to decisively win the second and final game of their tour of Papua New Guinea. The match was played in Lae, around 300 km north of the capital (Port Moresby), being PNG's second biggest city at around 90,000. It's thought that the PNG youth side that faced the Boomerangs in Lae was mostly drawn from around that area (Highlands and Momase, which mainly covers the northwest of the country), rather than being the players that defeated the visitors by a point in game one. This showed on the scoreboard, with the Aussie boys winning by 38 points.